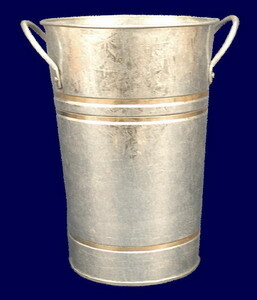 This galvanized container measures 5" in diameter, 8.5" tall. The dimensions are outside measurements. It is leak proof, perfect for a dozen roses. This item is available in Natural only.